Accounting Degrees | Colorado Mesa Univ. 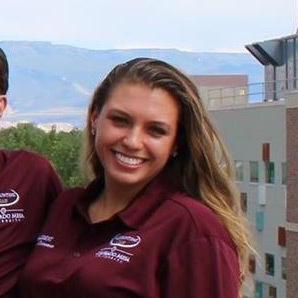 At Colorado Mesa University, we provide you with the foundation for a successful career as a professional accountant after earning your accounting degree. You can study accounting at the bachelor's level, as a minor combined with another major, or combined with a Master of Business Administration (MBA) through our 3+2 program. Earning your accounting degree at CMU is one step along the path toward CPA licensure. We have a small, high-quality program with dedicated faculty who have experience working as accountants. Each spring, our students have the unique opportunity to work with area CPAs through CMU’s Tax Assistance Program, reviewing student-prepared returns and answering research- and return-related questions. Several students participate in internships each year, primarily during the tax season, to get hands-on experience with CPA firms. Graduates often have job offers before they finish the program. This program is designed for undergraduate students who do not wish to pursue CPA certification. The general accounting concentration provides students with basic business skills as well as the accounting knowledge needed to work in an accounting department in private industry or government. The public accounting concentration provides students with basic business skills as well as the accounting knowledge needed to pass the Certified Public Accounting (CPA) exam. Graduates of this program have a very high CPA exam pass rate and are heavily recruited by local and regional CPA firms. Most graduates will have job offers months before they graduate. This program is designed to be the undergraduate component of the 3+2 accounting program which can earn the graduate a Bachelor of Science in Accounting and a Master of Business Administration (MBA) in five years. The public accounting concentration is the required pathway for the 3+2 program and, in conjunction with the 3+2 program, will provide the curriculum needed for CPA licensure. Accounting is the language of business and regardless of your major, the more accounting you have the better prepared you will be for a management position. This is a rigorous minor that will stand out on a résumé. The 3+2 program is a five year plan that enables students to graduate with a Bachelor of Science in Accounting and a Master of Business Administration. This combination prepares students to earn the hours needed to sit for the CPA exam. Through careful planning and coordination, students can complete their four-year degree and begin their graduate degree, finishing both simultaneously. Accounting is a degree with 360 degrees of possibilities. Every business needs accounting help, whether it's a Wall Street law firm, a professional sports team, movie production company or a rock band. With the proper accounting education, your employment options are endless. If you are considering a career in business, becoming a Certified Public Accountant (CPA) will allow you to be a star player on any business team. Since CPAs understand the nuts-and-bolts of finance, their expertise is valued everywhere — from high technology companies to the music industry to the fast-paced world of electronic commerce. The CPA designation is a stepping stone to whatever business career you can imagine. Did you know that the chairmen of several Fortune 500 companies, including Nike (Phil Knight), Home Depot (Arthur Blank) and UNISYS (Lawrence Weinbach) are all CPAs? My favorite part of accounting is the problem solving. It’s like doing a puzzle every day and it’s always different, you’re not going to do the same thing. It’s definitely worth the hard work and the hard work pays off in the end. You have to earn the accounting degree. It doesn’t come super easy. 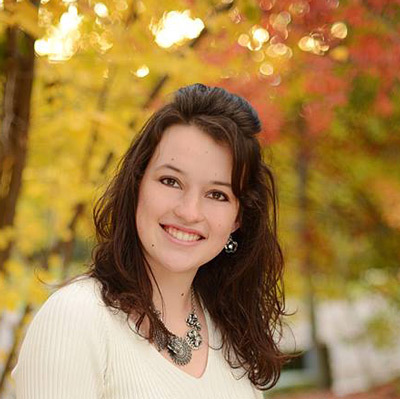 Drisa Carrizo, a 2008 graduate from the BS Accounting & MBA (3+2 Program), has used the knowledge and skills she gained at CMU to start her own business as a tax and general business advisor. We want to equip future CPAs with the tools they need to be successful in their careers and to pass the CPA exam to get there. Here are a few statistics regarding the 2016 CPA exam passing rates. CMU accounting graduates beat the nationwide average in all four sections, and the Colorado state-wide average in three out of four sections. For first-time takers of the 2016 CPA exam, CMU graduates were #1 in Colorado, and #16 nation-wide, among medium-size schools. CMU accounting graduates tie the best of the large Colorado institutions, earning higher-than-average scores in two out of four parts, and performed better than graduates from all other large Colorado institutions. When compared to Colorado institutions with large graduate programs, CMU graduates tie the best of these schools by performing better on two out of four sections, and performed better than all other institutions with large graduate programs. When compared to Colorado universities with restrictive entry requirements, CMU graduates tie the best of these schools by performing better on two out of four sections, and performed better than all other Colorado institutions with restrictive entry requirements. 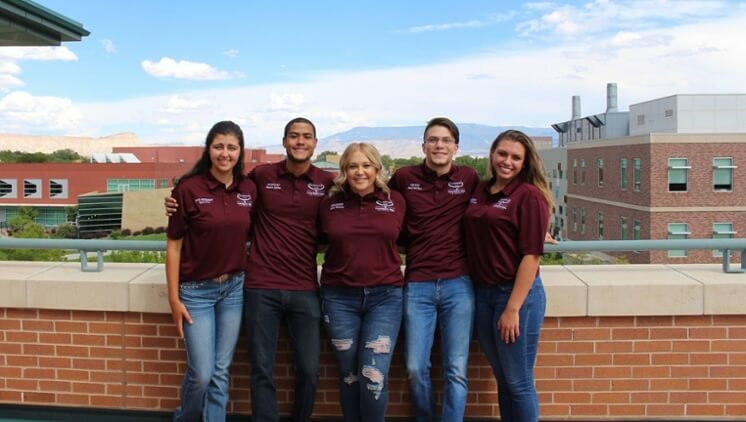 Finding the right job after graduation can be a source of anxiety for many students, but some students in Colorado Mesa University’s accounting program have jobs lined up more than a year before they graduate. The accounting program and accounting club prepare and give students ample opportunities to be recruited by firms prior to graduation.